And that’s that! If you’d like to join the carnival, as a contributor or a host, please send a mail to susie@wshcrew.space and we’ll get you hooked up. 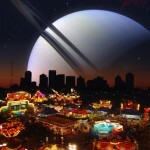 If you’re interested in looking back, here’s an archive to all the past Carnivals of Space.